This house number sign is suitable for a two digit numbers or one digit and a suffix e.g 9b. I just received my house sign and it looks fantastic! I love it. Many thanks. It's great quality and the service was great. Can't remember if I said already but very happy with the sign. Excellent quality! Thankyou. 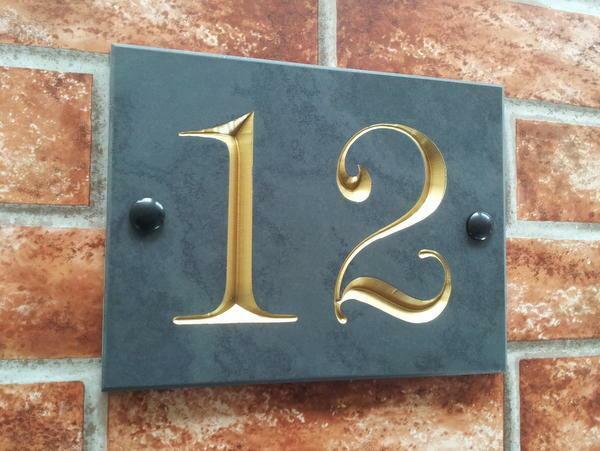 I am very pleased to tell you that the above order for the slate house number has been received safely and that my wife and self are delighted with our purchase. Everything related to my order has been first class from order to delivery and since we are both in our mid eighty's this counts a lot with us. Our thanks to all concerned at Yoursigns Ltd for a job well done. Hi just wanted to let you know that the sign has arrived this morning, I wanted to thank you for getting it here in time for me to give as a present at Christmas. Hope all staff at your signs have a lovely Christmas. The sign arrived today and is beautiful, thank you very much indeed. All arrived. Looks great – thank you. Thank you I have received my house number and is really lovely. Thanks Gerry, very pleased looks great and have placed a review. The (2) slate signs arrived beautifully packed on the date notified. The numbers are amazingly cleanly cut into the slate, and stand out well against their background. Easy to fix up (though I prefer my own wall plugs), with easily fixed screwcaps to finish the job Excellent value for their cost. Excellent doesn't really do it justice. From order to delivery, this transaction is just what ordering via the internet should be like, and the house sign isn't half bad either! Just perfect - many thanks. Simply stunning.!! Having scoured various sign suppliers both on the high street and on the internet, I eventually plumped for YourSigns, and although slightly nervous at not being able to physically see and touch an example before purchase, I decided that at the fairly minimal cost, I wouldn't be too out of pocket if I didn't like the end result. Well, I needn't have worried. I'm delighted with it. 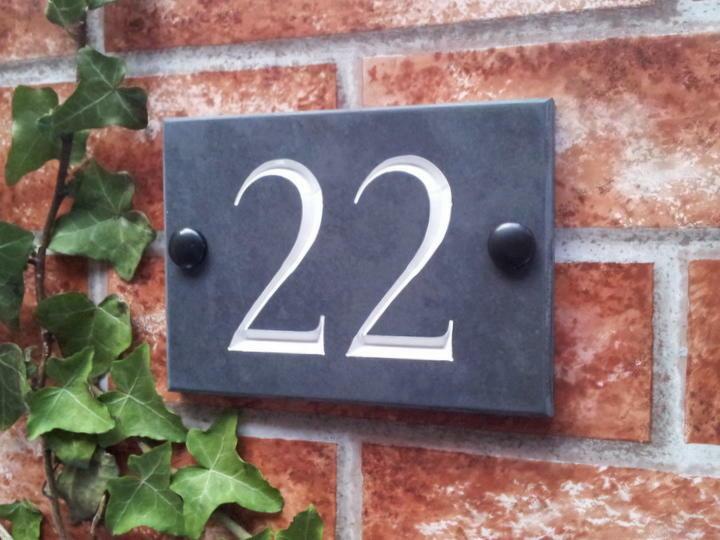 Thick, heavy, quality slate, with extremely well cut and meticulously painted numbers, I am thrilled with just how wonderful this product is for the very small price. 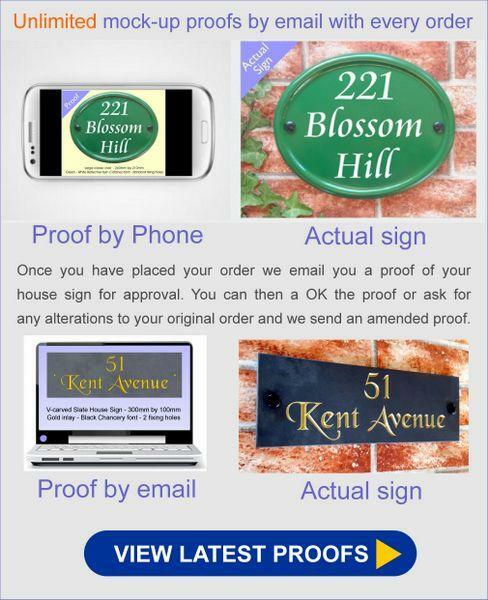 The added bonus of having a proof to approve before the sign is made just proves what a professional company this is. An email came to tell me when the sign was on its way, and it arrived incredibly well packed in several layers of bubble wrap and corrugated cardboard. I honestly wouldn't hesitate to recommend YourSigns to anyone. Thank you. 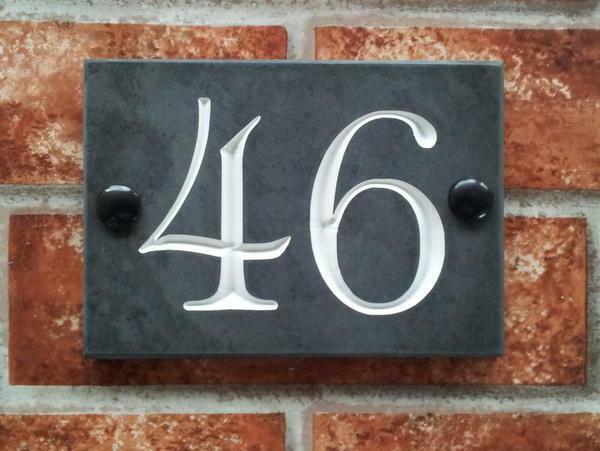 Purchased a Slate Sign, 2 x digits, in Wicker & White, and it looks fab. :-) I think the quality is fab, and do think it would be better if the Company looked at the most popular ordered, then stacked those on the shelf for quick turnaround orders. All the best. Gilly :-) Comment by Yoursigns: Thank you for your suggestion. 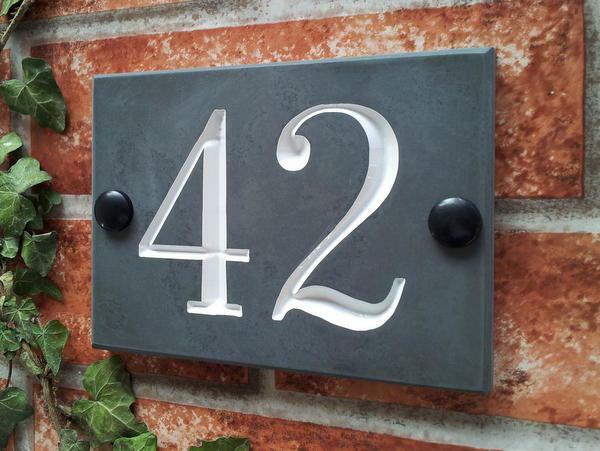 - We did consider making the house numbers in advance and keeping them ready in stock but unfortunately we would need to keep too many different number signs in stock - at least house numbers 1 to 100 in all the 20 fonts we offer and all 3 colour options. That's 600 different signs to make and stock. We simply don't have the space! 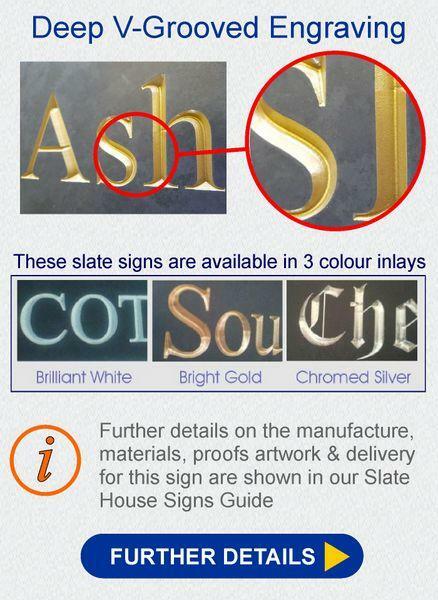 Hence all house signs are made to order. I have ordered from YourSigns Ltd on two separate occasions and am delighted with both the quality of the product and the very reasonable price. Both arrived when expected and very securely and neatly packed. Excellent customer service. I thoroughly recommend this company .